Click here to report an invasive plant infestation or possible Alert species sighting. To request a speaker for an event or meeting, please email us at the address above and state your organization, location, event or meeting schedule, presentation length, desired topic emphasis, and any other relevant details so we may match a qualified speaker to your needs. 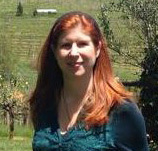 Kitty McCracken is a member of the Natural Resources Management Team of Oak Ridge National Laboratory. Her responsibilities include management of invasive plant species and native grass restoration projects for the Oak Ridge National Environmental Research Park (a Biosphere reserve). She is on the ORNL Institutional Animal Care and Use Committee and is lab manager of the Aquatic Ecology Laboratory. Kitty also leads a project to survey bats and identify habitat crucial to 3 species of endangered bats on the NERP. She has worked in environmental sciences and animal research for over 40 years. 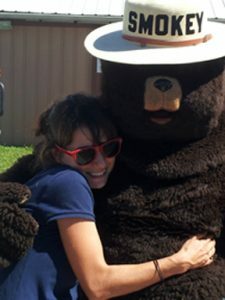 Belinda Ferro is an ecologist with the Natural Resources Conservation Service (USDA-NRCS). Her current work involves developing ecological site descriptions for East Tennessee, Northwest Georgia, and Northeast Alabama to inform conservation planning on privately owned land. Previously, her graduate work at the University of Tennessee focused on exotic, invasive plants and pathogens. Native plant conservation has been a life-long interest. Christine Bertz currently serves as research faculty at the Center for Research in Educational Policy, a State of Tennessee Center of Excellence at the University of Memphis. She designs and conducts research evaluations of projects that aim to improve the quality of STEM teaching and learning throughout the United States. Christine holds a Ph.D. in Biology from the University of Mississippi, where her research focused on interactions between native and invasive plants within xeric scrub ecosystems following large-scale disturbance. Her background also includes work in exotic animal physiology and captive husbandry, surface water quality, and the distribution of threatened and endangered prairie plants. David Adams is a stewardship ecologist with the Division of Natural Areas in the Tennessee Department of Environment and Education. His work involves a variety of natural resource management projects (including invasive plant management, native plant restoration, and rare species protection) within the natural areas of middle Tennessee. Prior to joining the Division of Natural Areas, David was a biologist with the National Park Service for 10 years, where he was heavily focused on various types of invasive plant management. 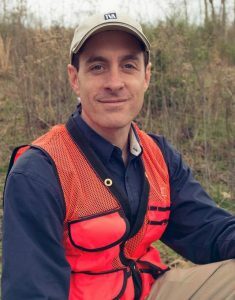 Adam Dattilo is a professional botanist with the Tennessee Valley Authority who specializes in conservation of the threatened and endangered plant species of Tennessee and adjacent states. He first became interested in identifying and conserving plant species and their habitats while attending college at the University of Kentucky and believes that the rich plant diversity of the southeastern United States has much to teach us about the beauty and complexity of our natural world. Jimmy Groton is an Environmental Scientist/Ecologist with EnSafe Inc., an environmental consulting firm. At EnSafe he works on wetland and stream mitigation and natural resource management projects (including invasive species control/replacement) for federal, state, and private clients. Jimmy is also President of Tennessee Citizens for Wilderness Planning, a 50-year old nonprofit, environmental advocacy organization based in Oak Ridge. At TCWP Jimmy helps to manage stewardship activities including cedar barren restoration and invasive plant control at the Oak Ridge Barrens State Natural Area and TVA’s Worthington Cemetery Ecological Study area. Jimmy is a member of the Tennessee Native Plant Society, Emory River Watershed Association, Society of Wetland Scientists, and Association of State Wetland Managers. He joined the TNIPC Board in 2015 as a representative of TCWP. Kris is Supervisory Forester for the National Park Service at Great Smoky Mountains National Park in Tennessee and North Carolina, involving exotic plant management, forest health and native plant restoration in the park. A member of TN-EPPC’s original board of directors, she has served continuously since, including a term as president. As a Nashville native, Katy attended Tennessee State University and received a BS in Plant Science and a MS in Agricultural Sciences focusing in Plant Pathology. Her thesis focus was on Phytophthora sp. in Tennessee field nurseries. She worked as a GIS consultant before becoming a Middle Tennessee Plant Inspector for the Tennessee Department of Agriculture and recently transferred to the position of Plant Pathologist for the department. This position monitors and surveys for diseases, certifies firewood kilns and coordinates the industrial hemp pilot program. Sam King is a stewardship ecologist with the Division of Natural Areas in the Tennessee Department of Environment and Education. His work involves a variety of natural resource management projects (including invasive plant management, native plant restoration, and rare species protection) within the natural areas of middle Tennessee. Sam also works closely with Tennessee State Parks on resource management projects. Bill is active in the Tennessee Valley Wild Ones native plant advocates and helps organize their Plant Natives! Symposium &Expo. He is currently the Chair of the Sierra Club Tennessee Chapter Conservation and Political Committees. He has practical experience managing invasive plants on his 3 acre private botanical garden. 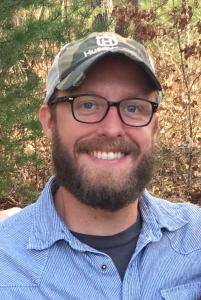 Chris is currently a Research Forester for the USDA Forest Service Forest Inventory & Analysis program and Adjunct Assistant Professor of Forestry in the Department of Forestry, Wildlife, & Fisheries at The University of Tennessee in Knoxville, TN. He received his Ph.D. from The University of Tennessee in 2008. Chris's research includes the monitoring and assessment of forest resources at multiple geographic and taxonomic scales. 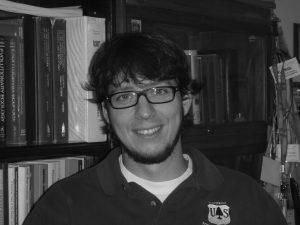 His research specifically focuses on the impacts of nonnative plants on forested systems, investigating alternative management strategies for hardwood plantations, and tracking spatial and temporal shifts of forest communities in the United States. Chris has worked in numerous environments from the Alaskan tundra to Himalayan and equatorial forests. Pat is retired from Oak Ridge National Laboratory where her responsibilities as Natural Resources Manager included natural resource management, integrated land use planning, and management of the Oak Ridge National Environmental Research Park (also a Biosphere Reserve). She is Past President of the Association of Southeastern Biologists and TN-IPC, Chair-elect of the Executive Committee of the Southern Appalachian Man and Biosphere Cooperative, and board member of the East Tennessee Regional Leadership Association and Discover Life in America. Mark Whited grew up outside Nashville, but resided in the surrounding Appalachian Mountains after acquiring a Botany degree from the University of Tennessee in Knoxville and working for the Great Smoky Mountains National Park. As a professional Botanist, he has traveled the southern U.S. developing vegetation maps for our National Parks while working as a photo interpreter for the Center for Remote Sensing and Mapping Science at the University of Georgia. 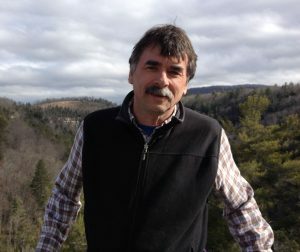 As Executive Director of the Little River Watershed Association, Mark developed outreach education programs, conducted habitat restoration projects, watershed assessments and brought people together with a common interest to preserve water quality while promoting best management practices of East Tennessee. Mark has served on the Board of Directors for several land conservation organizations to lend time, energy and a passion for preserving the natural resources and aesthetic beauty. He currently serves on the Board of Directors for the TN Invasive Plant Council. To this day, Mark continues to share his knowledge and expertise while working for the Tennessee Department of Transportation as a Program Supervisor overseeing the daily activities of three statewide regulatory programs within the Highway Beautification Office. In his free time, Mark enjoys spending time with family, creating art, photography, wood working, restoring antique pianos and exploring the natural world by kayak, pedal or foot. Whether miles off trail in some remote wilderness, scrambling through impenetrable Rhododendron slicks, deep within the karst caverns or meandering along a lazy river, Mark cherishes each opportunity to experience nature in the essence of the moment.